A clean room is an environment, typically used in hi-tech manufacturing or scientific development, which has a low level of environmental particles such as dust, airborne microbes, and chemical vapors. Clean rooms control the level of contamination that is specified by the number of particles per cubic meter/ft at a specified particle size. 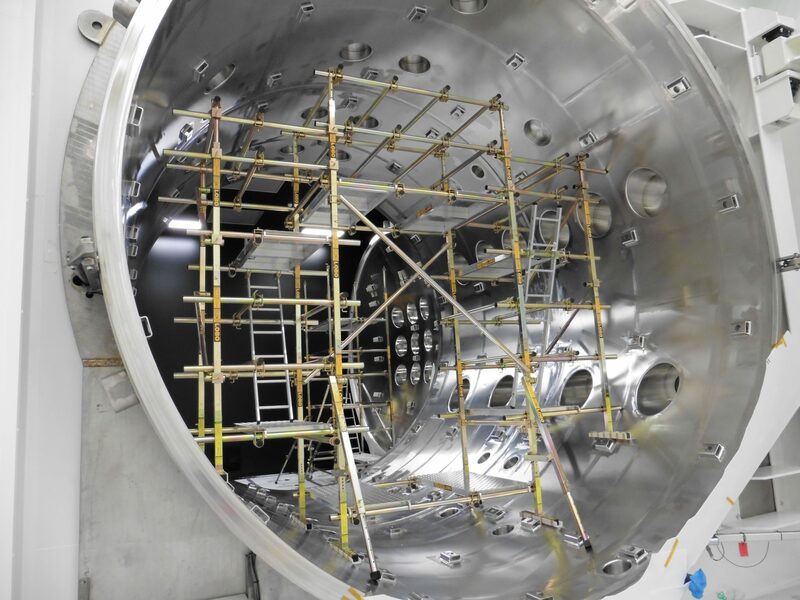 ISO 14644-1 clean room standards are used extensively throughout semiconductor, biotechnology, life sciences, and pharmaceutical and nuclear research industries. Within these environments, the application of LOBO provides a safe working at height solution that is ISO 7 compliant and meets all safety regulations. The LOBO Access System is a simple to use work platform product that combines the versatility and strength of traditional scaffolding with the simplicity and mobility of aluminium tower systems. LOBO Advanced Work Platform Sysetm can be assembled by any competent person quickly and safely without the need for tools. This allows labour costs to be controlled & reduced. Its unique ability to increase productivity whilst maintaining uncompromising safety standards puts the LOBO System in a class of its own. The system comprises of electroplated steel legs of a variety of heights with adjustable top and fixed side bracing clamps. Tubes are then passed through the clamps which are hand-tightened to form a trestle. This trestle forms the basis of the system to which Sway Braces, wheels, Handrails, Outriggers, Adjustable Extensions and even a Lifting Slider Beam can be added to enhance the construction. 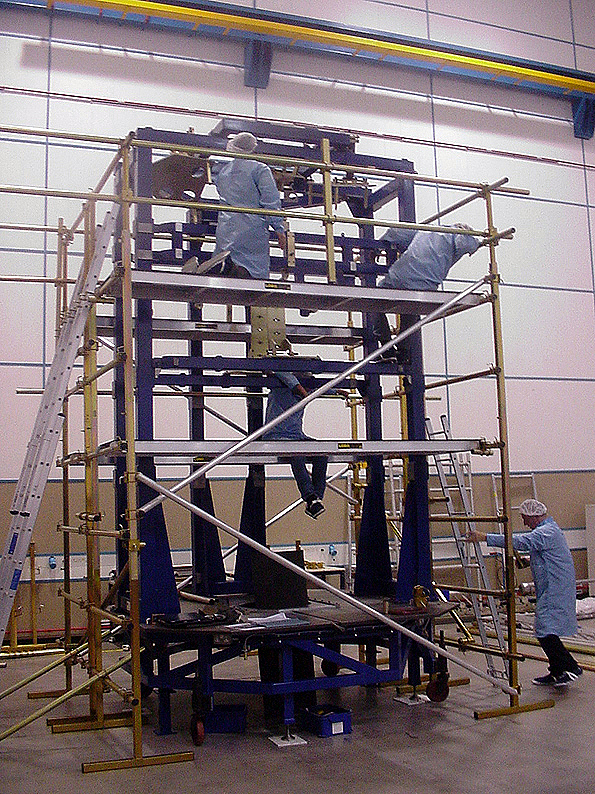 The unique and patented hand tightened clamp, when combined with LOBO components and Tubes, allows the creation of a work platform system around, under, over or even through any large or fixed object, for example machinery, a production line or other high cost assets. LOBO scaffolding allows safe working at height access to awkward to get to areas for maintenance, production or cleaning. Its modular design and versatility means it can be used in almost any industrial application. The unique and patented LOBO clamp allows the system to be assembled without the use of tools and without the need for qualified scaffolding engineers. The LOBO Work Platform System has been designed so that it can assembled by in-house maintenance engineers and technicians who can reconfigure the system, adapting and adjusting it from one project to another with ease. The system can be assembled, disassembled and reassembled quickly and is immediately available, unlike traditional scaffolding that must be assembled by qualified scaffolders. The unique and patented LOBO clamp allows handrail attachment at any point on the system, at any stage of its construction. 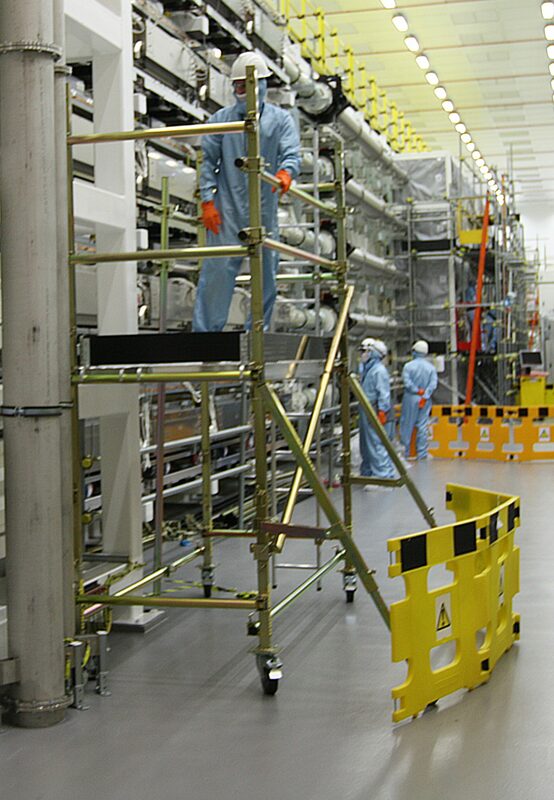 LOBO makes it possible for personnel to assemble a system without being exposed to the risk of a fall, thereby meeting current safety regulations. Health and safety issues have been considered at every stage and full product training is recommended to ensure safe usage. Reduce the labour cost of an outsourced scaffold company. The unique multipurpose versatility and adjustability of the LOBO System brings cost and labour savings. Design illustrations are simple and cost effective to create using LOBO Configurator. The product can be configured into any shape or size and therefore fits into difficult to get to and awkward areas. No other system can offer this combination of safety, flexibility, adjustability, simplicity and cost benefit. Spanners, wrenches or hammers are not required and the fast assembly process means that it’s quicker than tube and clamp and other traditional systems. LOBO scaffolding flat packs and so it can be transported or stored easily. The LOBO Advanced Platform System will upscale and fully adapt; larger and complex systems can be assembled by simply adding more standard components. LOBO will grow and adjust to any future requirement therefore protecting the initial investment. LOBO Systems always recommends full product training to all users to ensure competency and safe use. AWE, Nuclear Fuel Services Inc, British Energy Sizewell.